The name 2Plank Vineyards pays homage to the early pioneers of the sport (called “2Plankers”), who would strap toboggans to their feet and bomb down icy hills. Being avid snow skiers their whole lives, Jason and David combined their love for the sport and passion for wine into an artisan winery and vineyard, aptly named 2Plank Vineyards. 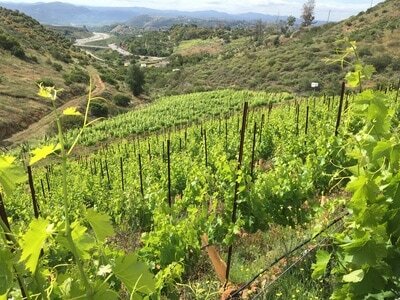 The estate vineyard was planted in Fallbrook after much debate and research over the vineyard's location. The decision to plant here was based on the unique growing climate and soil profile in Fallbrook. The dark, red volcanic soils are similar to the famous terra rossa of the Coonawarra region in Australia. 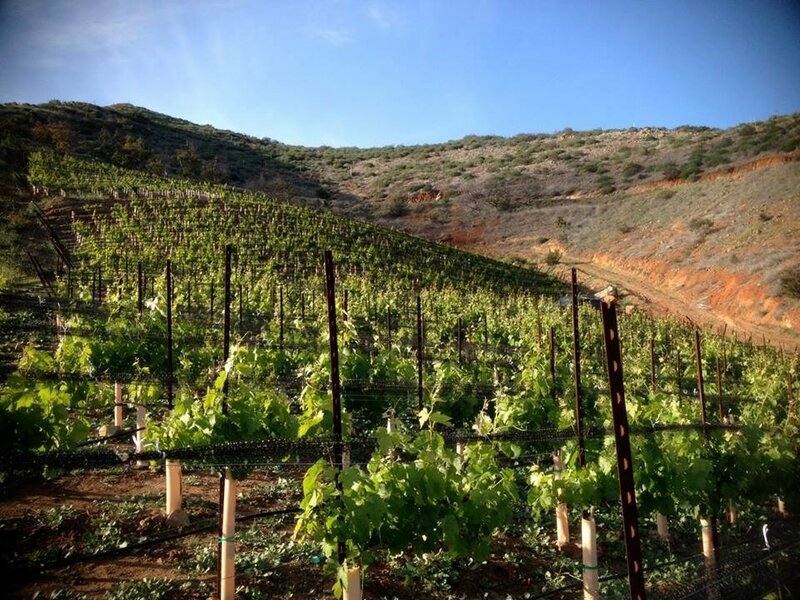 Planted at an average elevation of 1100 feet, the vineyard is situated near the Santa Margarita River gap, which provides the daily maritime breezes necessary for slow fruit maturation. This allows the grapes to develop the optimum fruit, acid, and tannin structure necessary to make the highest quality wines. 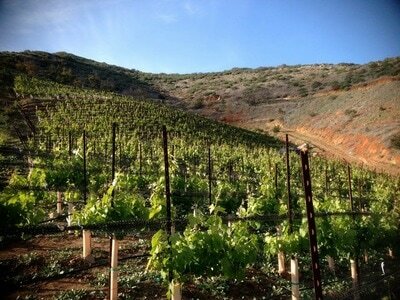 We feel that you can taste the terroir of our Red Mountain vineyard in every bottle. The Red Mountain can definitely be defined as extreme farming. The topography includes a 15-20% grade and large quantities of volcanic rock, make it impossible to farm with machines, so every square foot of our vineyard is hand-farmed. This harsh topography also tames the vines, stressing them, pressuring them to send down roots deep into the rocky, fractured substrata. 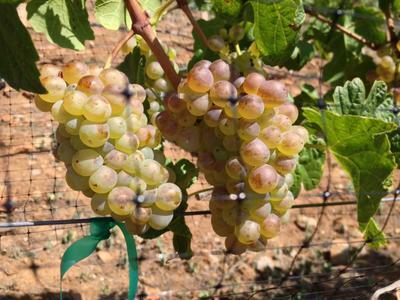 The end result is lower yields of fruit per acre, but the grapes that are harvested are concentrated with flavor. We also favor sustainable farming practices such as hand cultivating and avoiding use of pesticides. All 2Plank wine ferments in small lots to extract optimum flavor and color, then ages in oak for 12-18 months. We try to intervene as little as possible in the wine aging process. We'd rather let the quality fruit shine through. This old-world approach coupled with our new world fruit, produces wines that are ready to drink right out of the gate, but can easily be laid down for years, to enjoy later on. Our wines are both food friendly and great for sipping. David is a family physician by day and farmer by night. As a doctor, he's been taking care of patients in Fallbrook for nearly 20 years. When Dave isn't tending to his patients or watching a UCLA basketball game, he's working in the estate vineyard just around the corner from where he and his family live. 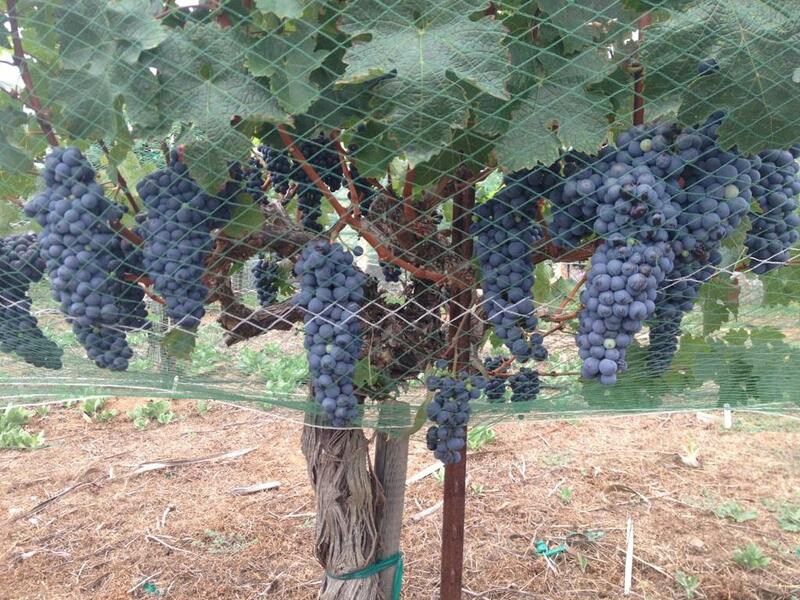 Dave has a very natural approach to grape growing and winemaking. He doesn't like to add pesticides when farming and enjoys natively fermented wines. It's not uncommon to see him in the winery grabbing the wine thief to sample young wines and ponder future blends. His reputation for being a generous host is followed by his reputation of being honest and knowledgeable in all aspect of winemaking. Jason comes from a humble farming town in the central valley. 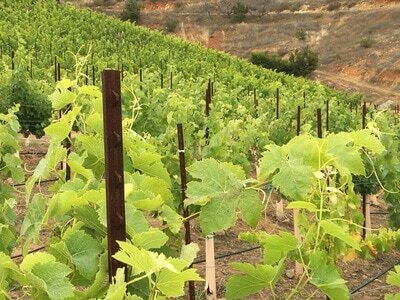 After receiving his BA from San Diego State and his MBA from University of San Diego, Jason established a technology company next door to the original winery in Sorrento Valley. When he’s not traveling around the world and closing big deals, he’s modestly making wine, operating the business and interacting with customers in the tasting room. Jason is an invaluable component of the company because of his extensive knowledge of the agriculture business and his entrepreneurial spirit. Matt's background in farming is very extensive. He has held many positions in the agriculture business but decided to commit 100% to San Diego wine grape growing after befriending Dave in 2010. Over the last few years Matt has completed Viticulture & Soil Science courses at Mt. 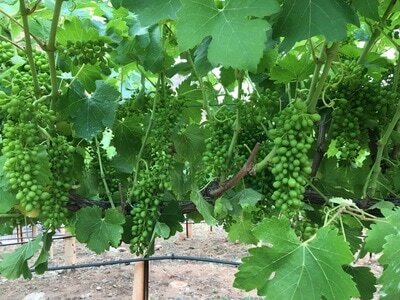 San Jacinto College, a UC Davis structured program under Greg Pennyroyal (head Viticulturist and Vineyard manager at Wilson Creek in Temecula), and has completed Enology courses at Miracosta college under Jim Hart (Owner and winemaker of Volcan Winery, Hart Winery and Milagro Winery). 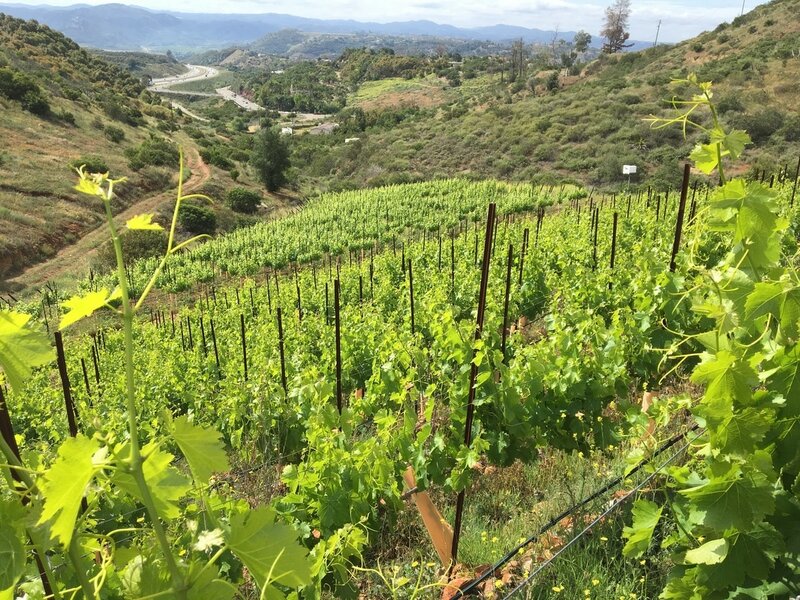 Currently, Matt is on the forefront of our vineyard installation and management team and is responsible for managing over a dozen vineyards throughout the North County of San Diego. The old adage "quality over quantity" truly defines his work ethics. 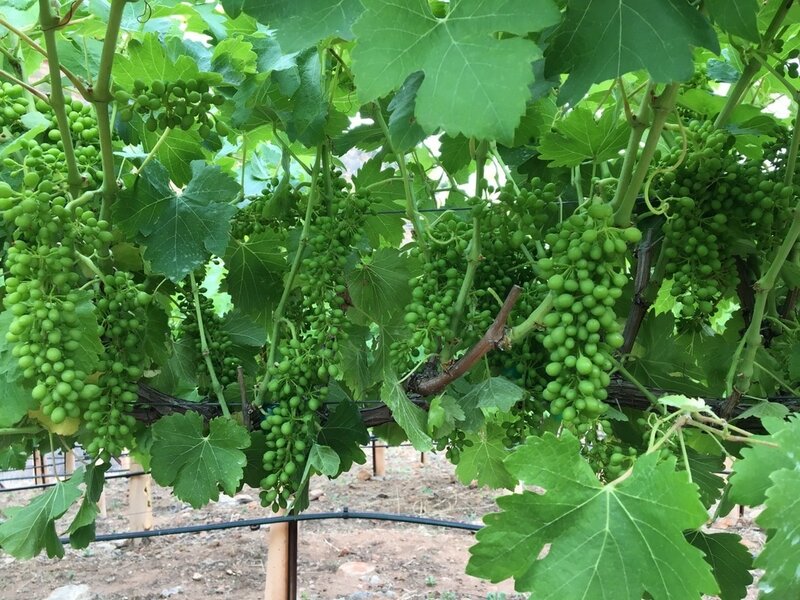 When he's not walking the vineyard rows and examining each vine for health and quality, he and his wife Mary are graciously pouring wine in the Vista tasting room. Stop by and say hi to them on most Sundays! Dominic has been a vital component of 2Plank Vineyards and also a great friend of the family's. He grew up in the central valley and received a Masters Degree in Agricultural Science from Fresno State. He assists in all winemaking operations at 2Plank, pours wine in the tasting room and even acts as the winery's handy man and safety officer. In 2016 he helped everyday of harvest and made it the most fun harvest to date!